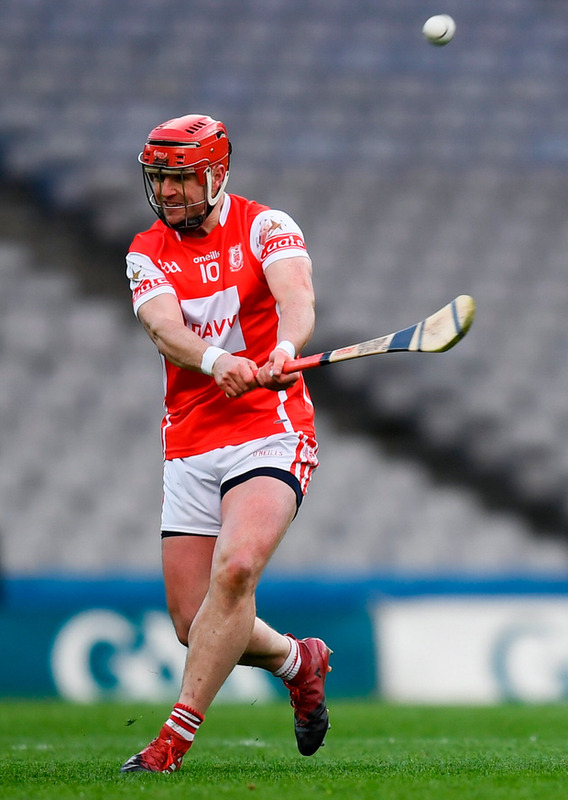 David Treacy's 12th and final free in a flawless striking performance earned Cuala a replay and a second shot at retaining their All-Ireland club title in bitterly cold conditions at Croke Park, the score coming in the final minute of extra-time. After a string of poor club finals, with an average margin of nine points deciding the last 20, this carried huge expectations of something more worthy. It didn't enter classic territory but the match was keenly contested throughout, the teams tied on eight occasions and providing plenty of drama. They will have to meet again to decide the destination of the title, with Cuala the more fortunate to be getting another opportunity. In normal time Na Piarsaigh looked to have claimed a courageous win, leading by three points with the match in injury-time, having faced the strong wind for the second half after leading by just two points at the interval. But a foul on Colm Cronin left Cuala with one last chance. Sean Moran stepped up to the 20m free and found the net, sending the match to extra-time. Before that Shane Dowling missed a free near the end of normal time which would have made the match safe, but Na Piarsaigh still looked poised to regain their title until Moran's intercession. Leading 0-8 to 0-6 heading at half-time, an early second-half goal from Peter Casey gave them impetus, leaving them four points up. But Cuala took over control of the match for a spell. Between the 37th minute and the 43rd they ran off five scores in a row to lead for the first time since early in the match. Con O'Callaghan scored just one point, in extra-time, as did Mark Schutte, although both were involved in winning frees which Treacy converted. Cuala's top scorer didn't miss any of his 12 free attempts and severely punished Na Piarsaigh indiscipline. But the Limerick side also defended well, denying Cuala a goal from open play, and allowing them just one half goal chance, from Schutte early in the match. Mike Casey did an excellent job in restraining O'Callaghan for the most part. 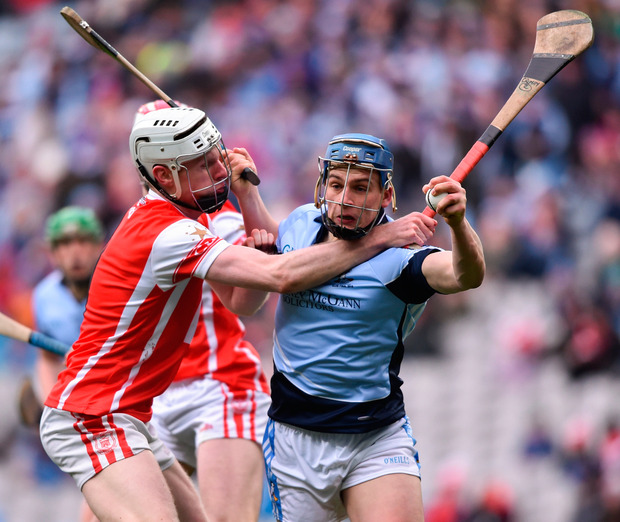 Playing with the strong wind, Na Piarsaigh, champions in 2016, were slow to settle, scoring only once in the opening quarter hour, with Cuala building a 0-4 to 0-1 lead. O'Callaghan was fouled for two of Treacy's four first-half frees, the first in the third minute opening the scoring, Colm Cronin doubling their advantage two minutes later. Kevin Downes, who had a fierce battle for much of the game with Cian O'Callaghan, got Na Piarsaigh off the mark in the seventh minute but it took another nine minutes before they managed to score again. Downes had an excellent match, scoring four points play and always there when his side needed leadership against a tight-marking Cuala defence in which Paul Schutte was outstanding. Having taken time to ignite, Na Piarsaigh snapped to life with three scores in two minutes heading into the second quarter, Casey hitting a sublime score under pressure from John Sheanon, quickly followed by one from Dowling, before Downes fielded Casey's delivery and pointed in the 18th minute. That score tied the teams at 0-4 a piece. 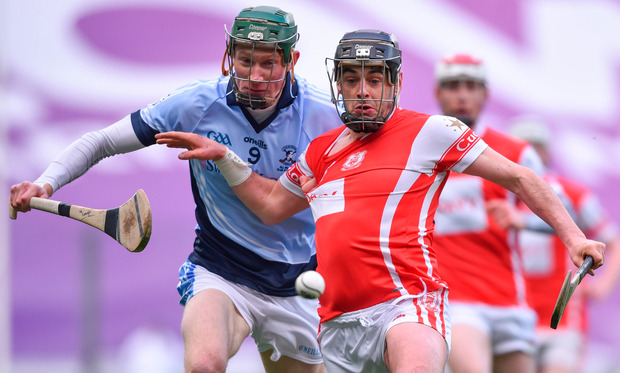 Treacy answered that with two frees for Cuala, but the last three scores of the half went to Na Piarsaigh who went in leading 0-8 to 0-6 at the interval, including two from Adrian Breen. 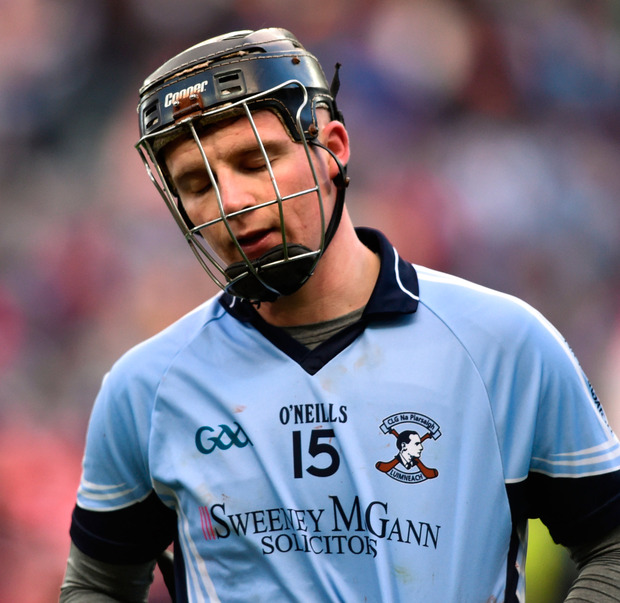 Having leaked five scores after the interval without a response, Na Piarsaigh came again, Downes hitting an important score ten minutes into the second half to draw them level. Adrian Breen had them ahead going into the last ten minutes and a Dowling free left them two clear with five minutes of normal time remaining. Treacy got one back, then Downes hit a magnificent score and Dowling added a free. Three points up, it appeared enough. But Moran's strike brought a sequel. Na Piarsaigh led 2-18 to 1-20 at half-time in extra-time, with wind advantage to come, boosted by an early goal from David Breen. But Cuala would not let go. David Dempsey provided one more score for Na Piarsaigh in the final period but two Treacy frees ensured a replay would be needed. Scorers - Na Piarsaigh: S Dowling 0-6 (4fs); P Casey 1-2; D Breen 1-1; K Downes, A Breen 0-4; D Dempsey 0-2. Cuala: D Treacy 0-12 (0-12 fs); S Moran 1-0 (f); S Treacy 0-3; C Cronin, C Sheanon, D O'Connell, N Kenny, J Malone, M Schutte, C O'Callaghan 0-1. Na Piarsaigh: P Kennedy; J Boylan, M Casey, N Buckley; A Dempsey, C King, K Kennedy; S Dowling, W O'Donoghue; R Lynch, D Breen, D Dempsey; A Breen, K Downes, P Casey. Subs: M Foley for Buckley (70); G Brown for Boylan (75); K Ryan for Kennedy (80). Cuala: S Brennan; O Gough, Cian O'Callaghan, P Schutte; J Sheanon, S Moran, D O'Connell; C Sheanon, S Treacy; J Malone, C Cronin, D Treacy; N Kenny, Con O'Callaghan, M Schutte. Subs: S Stapleton for J Sheanon (48); N Carty for Kenny (53); C Waldron for Malone (62); N Kenny for Carty & J Malone for Waldron (start of extra-time); S Timlin for S Treacy (66); D O'Flynn for Cronin (68); S Treacy for Kenny (74).